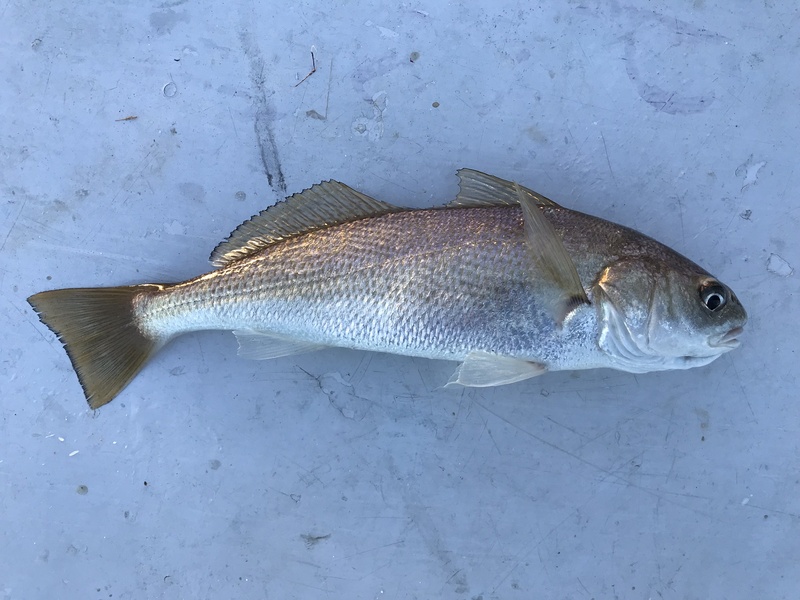 The Southern California Coast is lousy with White Croaker. They don’t get very big, they don’t fight well, and they’re basically the saltwater equivalent of Brown Bullhead, but they’re a new species. You meet all sorts of people fishing. Some of them are terrible. Some of them are great. My senior year of high school, the Class of 2008 went to Seal Beach, California. Within an hour of arriving, I’d already started fishing. I camped on the pier with some of my classmates and threw out all sorts of lures and bait. I witnessed a guy land a skate of some sort or the other, and I was so excited about the possibilities. We stayed out way too late that night trying to catch a fish but to no avail. Two full days passed. I landed zero fish. Zero. It was depressing. Though I did hook a nice California Halibut that might have hit 10 pounds, I was unable to bring it up the 30 feet or so to the pier, and just as I thought about how to do it, it broke my line. On day three, I met a meth addict who helped me catch a fish. He had become addicted to meth as a teenager in Mexico. After his wife became pregnant with their first child, he found Jesus, got clean, and emigrated to the States. When I spoke to him, he’d just celebrated his son’s fourth birthday now nearly five years clean. He caught fish after fish, and since I was using a trout rod completely unprepared for the saltwater situation it was facing, I continued down the path of failure. I think he felt bad for me, and he said I could fish one of his rods for awhile. Less than an hour passed before I caught my first fish outside of the state of Oregon. Humble doesn’t begin to describe the eight-inch White Croaker I pulled out of the brine that day, but it made my day. I parted ways with my new friend, thanking him and wishing him the best. Read the next entry in #SpeciesQuest here: Species #19 — Pacific Chub Mackerel. I’ve yet to catch a Lingcod over 20 pounds, but I get closer every year. It had started the day before. My first time on the ocean, I rode out in a small Bayliner in the afternoon. The handful of students and three chaperones who decided to brave the afternoon waves thought it would be worth it. The newness of the experience alone would have made it worth it to me, but after watching half a dozen Black Rockfish find their way into our boat, Perry Fields, one of our chaperones, hooked into something that seemed a little bigger. He battled the beast for awhile. Then his rod doubled over. If it was fighting hard before, it was now a creature possessed. His rod bobbed and bounced, and I asked if it would break. Everyone had stopped fishing now. We watched in awe as what could be nothing other than a sea monster slowly rose in the water column and made its way closer to us. In a moment frozen in time, we saw it. Maybe 10 feet below the boat in relatively clear water, was a fish that looked positively demonic. At first, I thought it had two heads, or maybe a head shaped like a Hammerhead Shark, but it was just a large fish clamped horizontally onto a smaller fish. 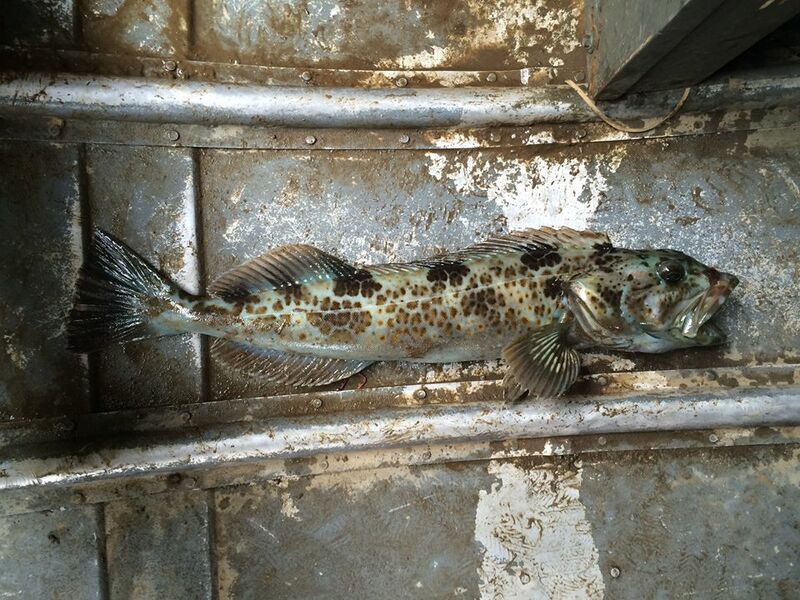 It was a Lingcod. The Lingcod. The smaller fish was maybe 16-18 inches in length, but the fish that had attempted to eat it was easily twice that length, maybe more. As our teacher, Mr. Dean, went to gaff it, its jaws released the poor, hapless smaller fish, and this beast stuck momentarily in the water column maybe four feet below the boat. “Grab me,” Mr. Dean commanded, and Mr. Wehr, our other chaperone, steadied him as he plunged the gaff over the gunwale and bent impossibly far over the boat. His body flexed, and he arched backward, the massive, writing beast hanging from the end of the three-foot gaff. Leviathan itself railed about on the floor of the boat, actively trying to bite any- and everything it could like a cobra in its death throes. It connected with the edge of a boot, unable to sink its sinister teeth into the hard leather. Acting quickly, Mr. Wehr cut its gills and the beast decided not to go down without a fight. It sprayed warm, frothy blood all over. My new jeans caught a globule of the deathly-dark blood and stained them. When we got it back to shore, we were saddened to find ourselves without a scale large enough to weigh it, but it measured 45 inches in length. As teenage boys do, we dared each other to place our heads inside its massive jaws. Mine fit with room to spare. We filleted the beast out before I remember getting any pictures. The carcass was tossed into the garbage, but I asked if I could cut the cheeks out, since I’d read they were quite good. They agreed. My grandfather’s butchery skills did not pass to me, and as I awkwardly dug out the almost-priceless meat with my old Rapala Fillet Knife in jagged strokes, the nerve endings in the sea monsters face all fired off, causing the head to shake in my hand like something out of a horror movie. Each cheek weighed about a pound and a quarter, but my inexperience with a fillet knife probably left a quarter pound of meat in each cheek. Still, it was the most epic thing I’d ever experienced, and I longed for a chance to catch one. The next day was uneventful by comparison, but I did manage to catch a Lingcod. I’d thought I was snagging the bottom too frequently, but I soon realized at least a few were fish, so I tried fighting them. On light trout tackle with eight-pound mono, it was an uphill battle (literally), but I managed to get it to the surface, where, after several attempts, my friend Christopher netted it. The minimum length was 24 inches back then, and, you guessed it, it was 23 1/4″ long. I was forced to release my first sea monster, but I’d added a new species and set a lifelong quest in motion: catch a sea monster the size of Mr. Fields’ someday. Read the next entry in #SpeciesQuest here: Species #12 — Pumpkinseed or read more about this unique, life-changing trip here: The Second Lesson: Fish of a Lifetime.